Our mission is to teach and live the Catholic doctrines and values and to provide a quality academic program through a loving, Catholic atmosphere. 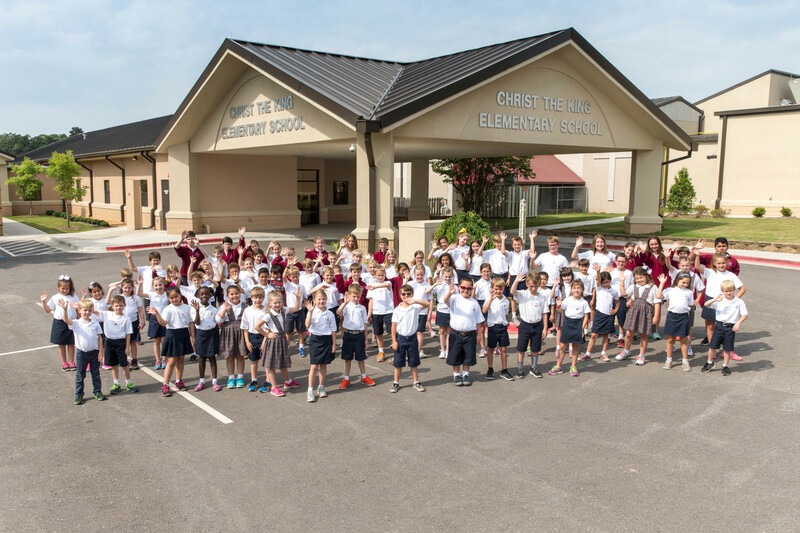 Christ the King Catholic School is dedicated to guiding and promoting unity, love, respect, and understanding with the development of a positive attitude towards lifelong education regardless of race, religion, or socioeconomic background. The school recognizes the rights of individuals as children of God deserving honor and respect. The purpose of Christ the King Catholic School is to instill the spirit of the living Christ in all students so that they may develop spiritually, physically, academically, and socially into responsible, strong Christians. The school also promotes healthy self concepts using consistent, fair discipline and a well-rounded educational program that attempts to meet the needs of all children. Christ the King School is a Catholic institution committed to the teaching of Catholic doctrines and Christian values and dedicated to providing a quality academic program. The school recognizes the rights of individuals as children of God deserving honor and respect, and works toward the following goals and objectives with the involvement and cooperation of the students’ parents or guardians. To provide Christ the King students a well-rounded academic program with Catholic fundamental as its core.